When it comes to high-end portable gaming devices with desktop-crushing performance MSI is the brand most of us now look up to. The GT80 Titan was their boldest move so far, setting the bar for performance and featured a fully mechanical keyboard-a world first on a gaming laptop, with one of the largest displays available-an 18.4 inch full HD panel. Apparently, it also was the only Broadwell quad-core laptop I tested. 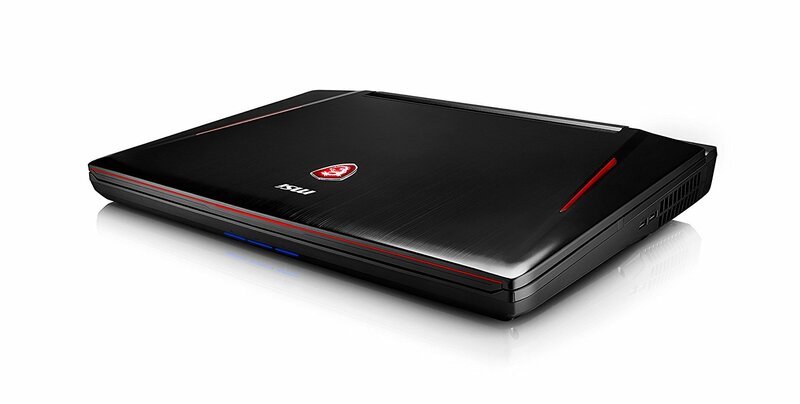 It featured two NVIDIA GTX 980M graphics cards in SLI and provided the highest notebook performance we'd ever seen. The GT83VR 7RF Titan SLI is MSI's latest iteration. The GT80 Titan was one of the best notebooks of its time, and it surprised us with its capabilities. Its huge size meant that despite all of the power packed within it, it still ran cool and quiet, even under load. Our expectations are thus high for the GT83VR Titan. Most of the GT83VR feels like an upgrade from the GT80 Titan. The chassis and the 18.4 inch display is exactly the same, as is the keyboard with the trackpad at the right. The laptop itself a weighs 13 lbs and when you combine the twin power bricks at 3 lbs each, the total weight stands to 19 lbs. I hope you have been working out. Being 42 mm at the thinnest part with a max thickness of 69 mm, it has plenty of space to pack huge power. But once you accept its enormity,it is quite a beautiful thing to look at. It is aggressively styled, aluminum lid accented with a pair of glowing red darts, a backlit dragon sigil and a gleaming chrome MSI label. The rear vents are trimmed in red aluminium and have an alluring glow. Opening the lid reveals a large mechanical keyboard with a digital touch/number pad at the right where you would generally find a palm rest. The dragon-etched panel at the top of the keyboard is just not there for its cool looks. You can remove the panel to access the RAM and the solid state drives for future upgradability. The GT83VR contains a plethora of Input / Output ports. The right side houses a pair of USB 3.0 connectors. Along the left, you'd find three more USB 3.0 ports, as well as a 3-in-1 card reader, a Blu-ray DVD player, and plenty of audio outputs including TOSLINK and an extra headphone jack for the excellent included ESS SABRE DAC for your portable headphones, and a security lock slot. On the back there's a Thunderbolt 3 port, a mini DisplayPort, an HDMI 1.4 port and an AC power jack. The laptop can support three external 4K 60Hz display if you use the Thunderbolt 3 port as a display port. The mechanical keyboard is still present, but now with Cherry MX Silver Speed switches with linear RGB lighting, which may appeal to some, but I personally miss the tactile bump of the previous generations. While the keys may feel kind of shallow for normal functions, it is a pro-feature for gamers because they don't have to press down as hard to move or to do any other function. In our test,we found out that the switches have 3.4 millimeters of travel compared to the 3.1 millimeters brown switches on the last year's model. The typing experience was smooth and comfortable with fast typing speeds of 70 wpm instead of my usual 64 wpm. Unlike the previous generations, MSI's Titan has finally ditched the all-red colour scheme on the keyboard in favour of customisable RGB backlighting with individual key personalization. The SteelSeries Engine software can help you choose between the 18 different presets or create you own and also gives you the ability to map macros for specific keys. The significant lip around the edge of the keyboard returns and with no wrist rest included to make it more comfortable. It is something you'd eventually get used to, but there's definitely a learning curve. The trackpad (i.e., touchpad) on the right side of the keyboard has got a smooth consistent feeling with satisfyingly tactile buttons. Touching the top left corner of the trackpad converts it into a dull numpad. But still then, nice idea! You don't often see an 18.4 inch "laptop" monitor. But it's strange size does not make its factory calibrated 100% sRGB IPS panel any less beautiful. At 1.3 on the Delta-E benchmark, the Titan's screen is pretty accurate and matches the desktop-replacement average and tops the Dominator's 1.5. The Predator 17 X obtained 1.1, while the G752VS was the most accurate at 0.9. 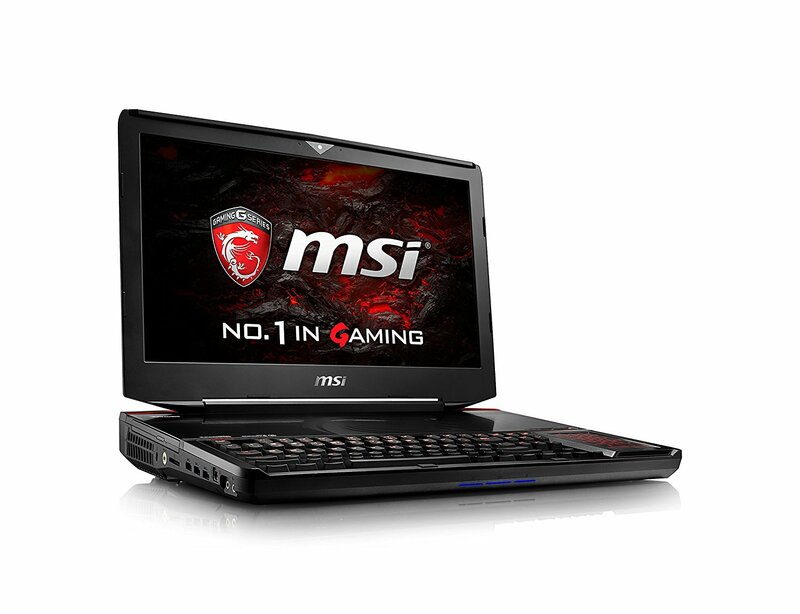 The MSI GT83VR Titan's display was quite bright, and measured 275 nits. Though an impressive score it was less than the 288, 319 and 326 nits achieved by the Predator 17 X, Dominator and G752VS respectively. Where the Titan's screen does lose points however, is its resolution, refresh rate, and lack of standout features, such as G-Sync. A full-fledged gaming laptop powered by a Full HD 60Hz display with screen tearing is a total mismatch. At least they could have provided a display with a greater refresh rate. If you consider carrying this gaming monster with you, taking a mouse would not be such a bad idea. But do you also need an extra pair of speakers? MSI doesn't think so, and in this case, I actually agree. The Titan has four speakers, one subwoofer Dynaudio speaker setup which produced quite loud sound in our testing with a surprising fullness even if it is a little light on the sub-bass. Music has booming bass and has a warm feeling, with clear mids and highs.And the aforementioned ESS SABRE DAC allows us to drive even high end headphones with MSI's Nahimic 2 providing excellent virtual surround sound for gaming. The audio was spot-on during Rise of the Tomb Raider gameplay,I enjoyed listening to the ragged winds of an incoming winter storm combined with the swell of violin strings. When an ice cliff disintegrated under Lara's axe, the falling debris was thunderous, but I could still hear the smaller ice shards shattering like glass. In the Nahimic 2 software, you also get a couple of game-enhancing features, such as SoundTracker, which when enabled, the software works to find enemy locations based on sound. Streamers will appreciate Audio Launch Pad, which maps sound effects to keyboard shortcuts. Nahimic has also added virtual 7.1 surround sound for a more immersive audio experience. The MSI GT83VR is the first gaming laptop to get a Kaby Lake processor. At last, Intel has released these bad boys and I'm thoroughly impressed. Intel claims the new 7th generation chips will yield noticeable performance boosts. The GT83VR has a 3.1 GHz Intel Core i7-7920HQ processor with a bombarding 64GB of RAM and our review unit featured two Samsung SM961 drives in RAID 0. Unlike Clevo, MSI uses the H Series of Intel Core for their Desktop Replacement Systems, do rather than that, the Core i7-7920HQ should be the fastest CPU available in a laptop right now. The laptop easily streamed an episode of "Chewing Gum" on Netflix while running a full system scan with 26 additional tabs open in Google Chrome. How does the MSI GT83VR Titan SLI compare against other gaming laptops? In the PCMark 8 home, the Titan has scored 4974, coming below the Asus G751JY's 5226 (i7-4920HQ, GTX 980M) and the Clevo P870DM2's 5175 (i7-6700K, GTX 1080), while the Razer Blade Pro came last at 4231 (i7-6700HQ,GTX 1080). In the PCMark 8-Creative, the Titan came first scoring 8476, with the Clevo coming second at 8030, the Razer Blade Pro came third at 7587, and the Asus GL502VS (i7-6700HQ, GTX 1070) coming last at 7267. 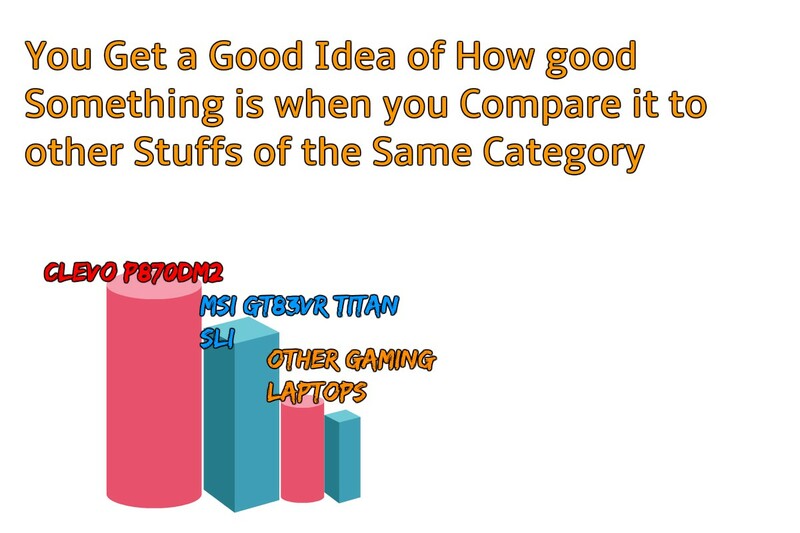 In the PCMark 8-Work, the Titan again came first scoring 5563, with the Clevo P870DM2 coming second at 5522, the Asus G751JY coming third at 5276, the Asus GL502VS coming fourth at 4981, the MSI GT80 Titan (i7-5700HQ, GTX 980M SLI) coming fifth at 4797, with the Clevo P750ZM and Razer Blade Pro coming sixth and last at 4553 and 4405 respectively. PCMark tests all aspects of a system, based on several tests of workloads which are meant to mimic real world tasks. Each of the sets of tests stress different parts of a system, but everything from the CPU, GPU, storage and display, all play a part in the scores. The GT83VR does very well here, coming in close to the top against all the systems. The Creative test is where the GPU plays the biggest impact, and that shows the GT83VR outpacing even the Clevo P870DM2 , although that system can be configured with SLI GTX 1080 as well, even though the review unit was a single card. In the Cinebench R15 Single Threaded Benchmark, the GT83VR came third with a score of 168 points, below the Clevo P750ZM, scoring 172 and the Clevo P870DM2, scoring 169. The Asus GL502VS, the MSI GT80 Titan and the Razer Blade Pro came fourth, fifth and sixth respectively , scoring 147.74,145.03 and 145 points. In the Cinebench R15 Multi Threaded Benchmark, the GT83VR came third again, with a score of 812.07, below the Clevo P870DM2, scoring 885.52 points and the Clevo P750ZM, scoring 837. The GT80 Titan came fourth, with a score of 724.82 points, and the Razer Blade Pro and the Asus GL502VS coming fifth and last, with scores of 678 and 675.04 points. Cinebench is a CPU test, where more cores and higher frequencies is generally the path to the top here, but since you can set it to Single Threaded as well, it can be very useful looking at single core performance. As you can see, there is a noticeable jump in performance from the Skylake i7-6700HQ and older CPUs to this top of the line Kaby Lake i7-7920HQ. 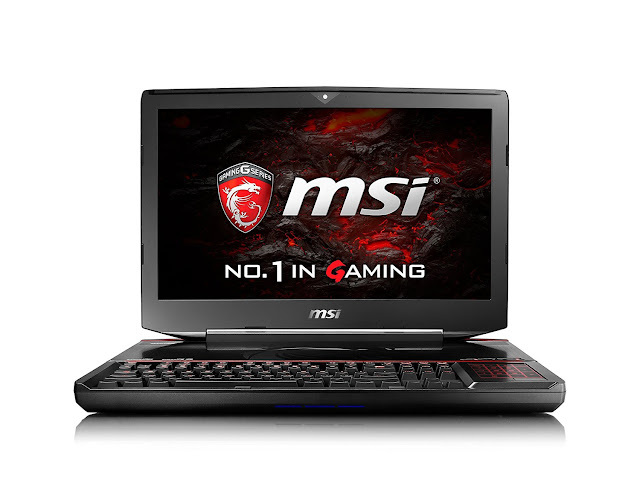 Most of the systems have been shipping with the Intel I7-x700 model for the last couple of years, so it is nice to see MSI step up on an expensive laptop like this one, and the payoff is quite significant. On the multi-threaded results, the desktop class Clevo models with their highest TDP are able to stretch a bit of a gap here, but it is not so large. On the Geekbench 3 test, which measures overall performance, the Titan hit 15,908. The i7-6700K is a literal desktop processor! This explains why the Eon17 SLX and the G752VS scored 17,640 and 15,563 respectively. The Razer Blade Pro with its 2.6 GHz Intel Core i7-6700HQ CPU obtained only 13,406. The Titan is an incredibly fast machine with two Samsung SM961 512GB PCI-e SSD's in super RAID 4 configuration and a 1TB,7200-rpm hard drive in RAID 0 with which, MSI say, "load game works in seconds". It duplicated 5GB of multimedia files in 6 seconds. That sums up to transfer rate of 1.2 megabytes per second! The G752VS (256GB M.2 SSD) came to a close second at 850 MBps. The Eon17-SLX (dual 256GB M.2 PCIe SSDs) and Blade Pro (dual 256GB PCIe SSDs) achieved 424.1 MBps and 391.5 MBps respectively. 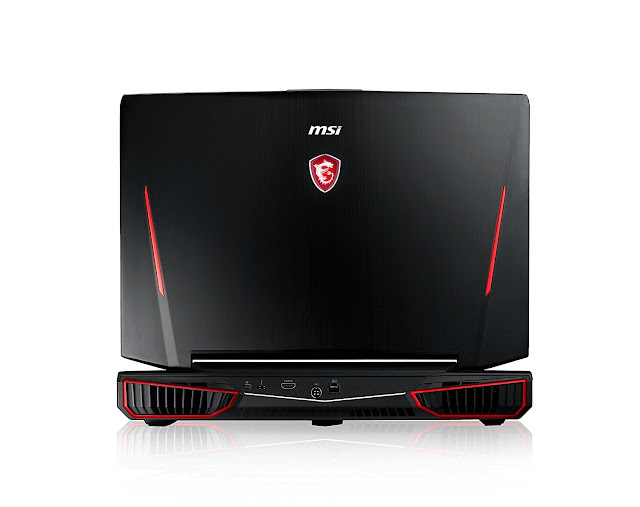 The great size of the MSI GT83VR helps it pack quite powerful hardware. And it does, with its pair of Nvidia GeForce GTX 1080 GPUs with 8GB of VRAM in SLI formation, which translates to some face-melting frame rates. With the 10 Series GPUs the Titan is VR ready. The laptop notched 11 on the SteamVR Performance test, placing it on par with the Eon17-SLX also sporting a pair of GTX 1080s and the Razer Blade Pro, with a single 1080. The G752VS with its GTX 1080 GPU, scored 10.5. Well, to answer just that I put the MSI GT83VR Titan SLI up in several synthetic benchmark tests including performance measures while gaming. And it does rake up a pretty good score, beating almost all other laptops I put in the same test. In the 3DMark Fire Strike, the Titan came first with a score of 21641, with the Clevo P870DM2 coming second at 16659 and the Razer Blade Pro coming third at 13770 points. In the 3DMark Sky Diver, the Clevo P870DM2 came first with a point of 36294. The GT83VR came second at 35582 points, and the Razer Blade Pro came third with 29509 points. In the 3DMark Cloud Gate, MSI GT83VR came second 29680, the Clevo P870DM2 came first with a score of 31127. The 3DMark 11 the Titan gained first place with a score of 24770 points, with the Clevo P870DM2 coming second at 20732 points, and the Razer Blade Pro coming third at 16527 points. FutureMarks 3DMark has various tests, of varying complexity. They have been updating this test for several years, and now adding new tests for 4K and DX12 as well, so we'll be adding those in over time once we get some more data. As for the GT83VR Titan, it is certainly somewhat CPU limited compared to the Clevo P870DM2 with its desktop CPU, but on the Fire Strike test, which is the most demanding on the GPU, the SLI's graphics card- the GTX 1080 add quite a bit to the result. I experienced smooth gaming when I ran "Superhot" on my Oculus Rift. The Titan continued to show its beastly power on our traditional gaming tests. For instance, it delivered 121 frames per second in the Hitman benchmark with settings cranked up to very high and resolution on 1920 × 1080 pixels with an average of 93 fps. The Eon17-SLX and the Razer Blade Pro scored 103 and the G752VS came last at 89 fps. The Titan continued to show its superiority with an impressive 139 fps on GTA V with an average of 95 fps. The Eon17-SLX was close at 121 fps, but the Razer Blade Pro and the G752VS were smoked, scoring 65 fps and 69 fps respectively. The MSI GT83VR has an excellent cooling system , consisting of 15 heatpipes, two 29-blade fans and one smaller 25-blade fan. Under full AIDA64 load, the CPU got to a maximum temperature of 88°C, while the GPUs got to a toasting 85 and 90°C respectively. With coolerboost enabled our CPU temperature came down to 85°C, while the GPUs came down to 81 and 85°C respectively, but it gets a fair bit louder so to speak. The Titan however remains cooler when it's not rendering graphics in 1080p. After Streaming 15 minutes of a high-definition Youtube video, the touchpad and space between G and H keys hit 43°C. The laptop's bottom measured 50°C. If you invest $5099 in purchasing a gaming laptop; and I mean the MSI GT83VR Titan SLI, it better give you some future proofing. Well, it does! You can open the large panel placed just above the keyboard to replace the RAM and storage. You can also upgrade the GPUs but not the processor. To remove the plate you just have to remove two screws at the bottom and slide the panel off to the right. The Titan's integrated 1920×1080 webcam takes one of the best photos ever seen by me on a laptop. They totally lack the grainy shots that are usual for most webcams. The photos were detailed and bright. However the colours were not much accurate, as my skin tone looked muted. The bright orange flower vase looked dull and the purple walls of the room looked bluish. Most notebooks are designed to be used on the go, whether it's in your house, or outside it. 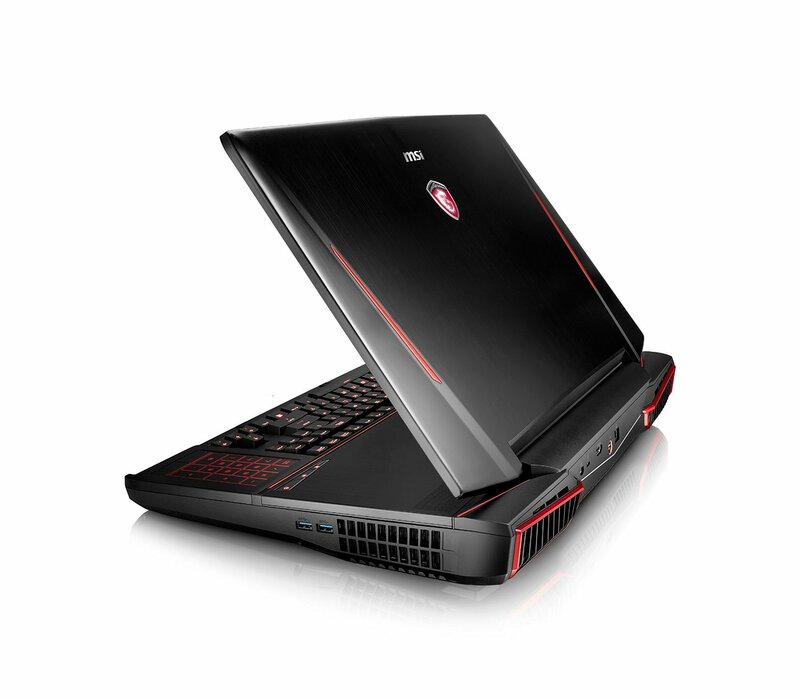 The gaming laptops like the GT83VR are not very portable however because of their large size and weight. The dual GTX 1080 on the GT83VR require a hell of a lot of power to run. So the Titan draining its 75 Watt hour battery after 2 hours and 15 minutes of continuous web surfing was not a surprise. The battery is just only a tad smaller than a Microsoft Surface Book. For a desktop replacement, it is pretty low than an average of 4 hours 21 minutes of stay time, but its better than the Eon17-SLX's 1 hour 25 minutes. The Razer Blade Pro and the G752VS delivered a better battery life of 2 hours 45 minutes and 3 hours 44 minutes respectively. In Battery Life 2013 the Titan came last with a time of 142 minutes. The GT80 Titan came first with a time of 250 minutes, the Razer Blade Pro came second at 225 minutes, the Asus GL502VS coming third at 177 minutes and the Clevo P870DM2 coming fourth at 176 minutes. In high performance notebooks the base power draw is generally enough to mask the extra CPU draw required and that's certainly the case here again, with this result getting finished within a few more minutes compared to the older, less demanding test. In the Battery Charge Time test, the Titan came second last with a time of 180 minutes. The Asus GL502VS came first with a charge time of 124 minutes, with the Clevo P750ZM coming second with a charge time of 140 minutes, the Clevo P870DM2 came third with a time of 154 minutes, the GT80 Titan coming fourth with a time of 157 minutes and the Razer Blade Pro coming last with a time of 229 minutes. Despite the huge amount of power available and a relatively small battery, MSI is very conservative on the charge rates, so it takes an entire three hours to charge the battery, once you manage to drain it completely. MSI's usual game-centric software is present. MSI has given the Dragon Center app an overhaul, which now contains an easily accessible hub that contains useful apps such as SteelSeries Engine, Nvidia GeForce Experience,MSI True Colour and Killer Network Manager under tabs. The System Monitor tab allows you to check your system's status, while the LED Wizard helps you to create custom lighting. System tuner allows you to create profiles that control VR optimization, display colour temperature and much more. With the Tools and Help app, you'll find software for Burn Recovery and Battery Calibration. The Nvidia GeForce Experience offers a solid suite of apps to optimize settings or live stream your gameplay. Killer Network Manager is there to ensure any available bandwidth is going toward your games. But for the $5099 you are paying, MSI offers a minimal one-year warranty, which is plain bad. They could have at least offered us the full version of WinZip along with the Norton Trial. For the $5099 that you are paying for the Titan, you get a 7th gen Intel Core i7-7920HQ CPU with 64GB of RAM,two 512GB PCI-e SSDs in Super RAID 4 configuration with a 1TB 7200-rpm hard drive, and a pair of Nvidia GeForce GTX 1080 GPUs in SLI configurations with 8GB of VRAM each. For those who want to spend a little less cash,there's the $4199 model,which gets you a pair of Nvidia GeForce GTX 1070 GPUs in SLI configuration. Okay, so should you buy the MSI GT83VR Titan SLI? 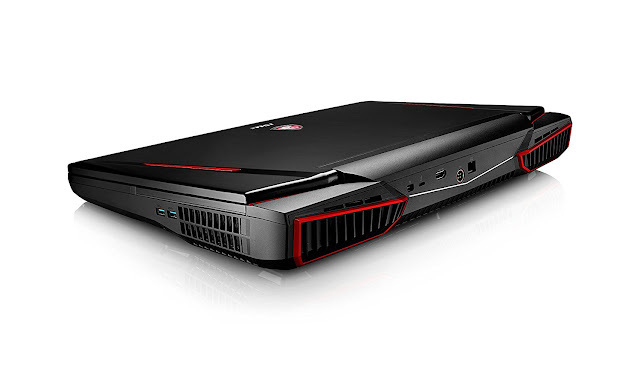 The MSI GT83VR Titan SLI is back with new tricks up its sleeve. It's the first gaming laptop in the world to receive Cherry MX Silver Speed Switches which is dope. The Titan has now got customizable RGB backlighting. The beast has got searing transfer speeds, impressive dual-GPU graphics,a Kaby-Lake processor and fans which are whisper-quiet in normal conditions. Of course, all that power does not come cheap. At a whopping price tag of $5099, most can only dream of it. 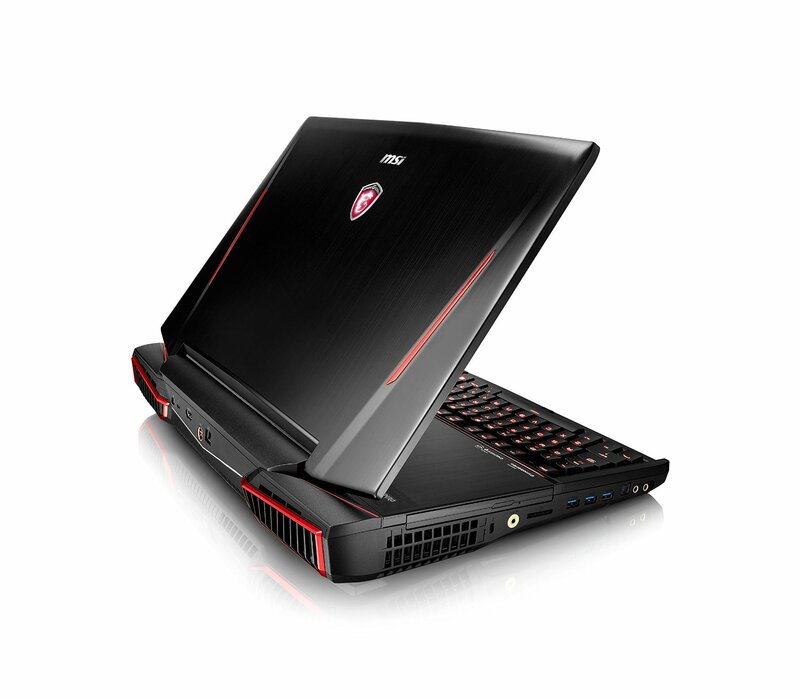 But if you are an intense gamer and do not mind spending the amount for serious gaming power, then the MSI GT83VR Titan SLI is for you! I have listed the best prices at Amazon up here too so that you can buy the MSI GT83VR Titan SLI. 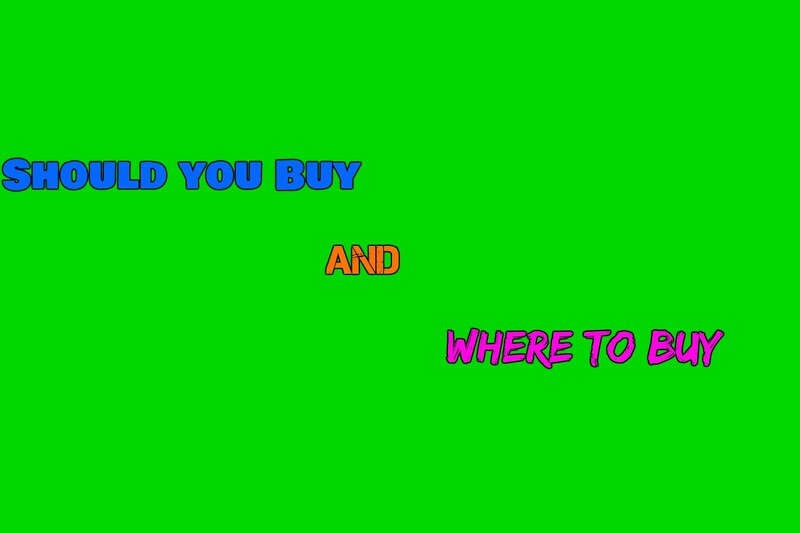 All versions, models and price options of the laptop can be found in the buying links!